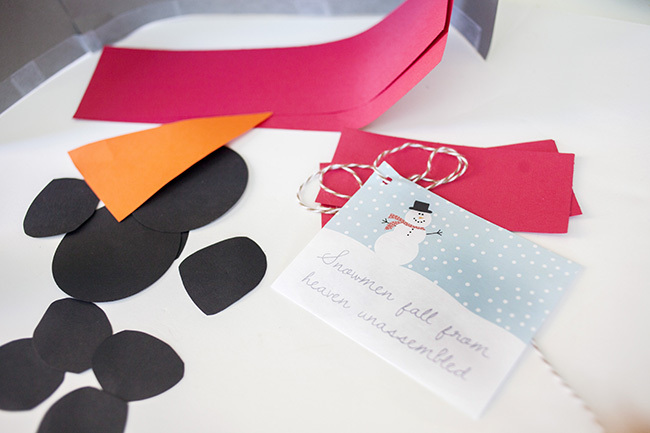 I shared this Snowman Door Craft & Gift Idea and printable in December, but I think snowmen still live in January! 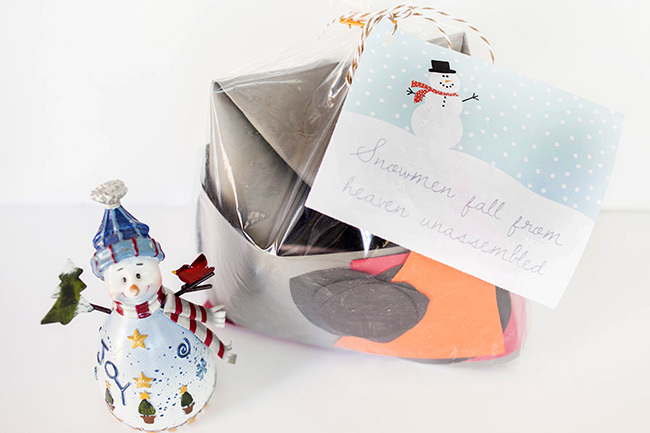 It’s a fun craft to get the kids involved, and given as a gift to a friend! My kids love our snowman, up on our laundry room door. This gift is practically free, if you are like me and keep a supply of card stock around the house. I didn’t come up with the snowman-on-the-door idea, but am simply sharing how it can be made as a gift for friends, especially for your kids to make and give THEIR friends! Cut out the shapes for the snowman: 2 Big circles for the eyes, 5 small circles for the smile, 3 buttons (big or small), orange triangle nose, red scarf, gray hat. I don’t have exact measurements for these, I just eyeballed it. I used a little tape on the hat, too. After you cut out the shapes, lay them on the floor or tape them to the door (with painters tape) to make sure you have all the right pieces. 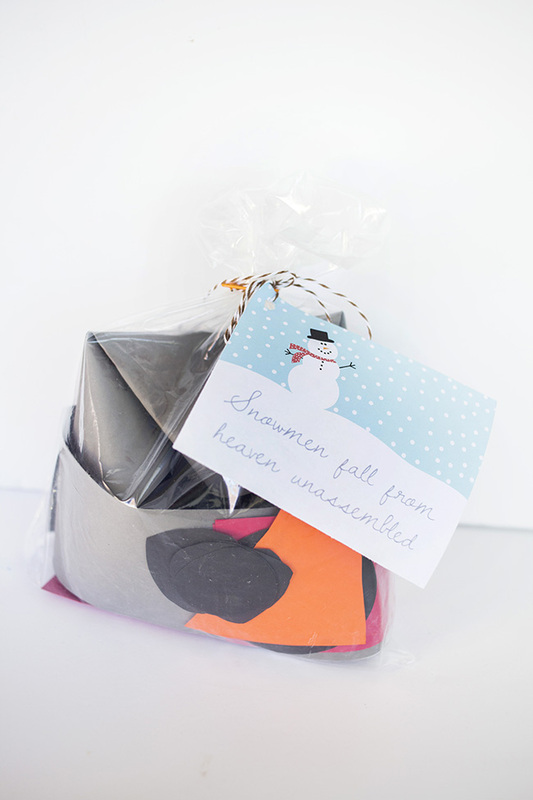 Either hang it on your own door, or gather it in a gift bag to attach with the gift tag, to give to a friend! 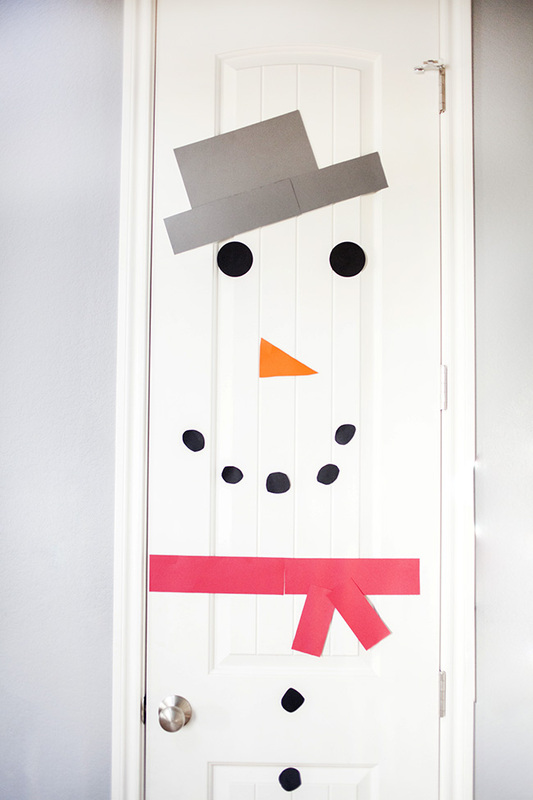 “In the winter we can build a snowman.” Get it, you are “building” a snowman on the door. 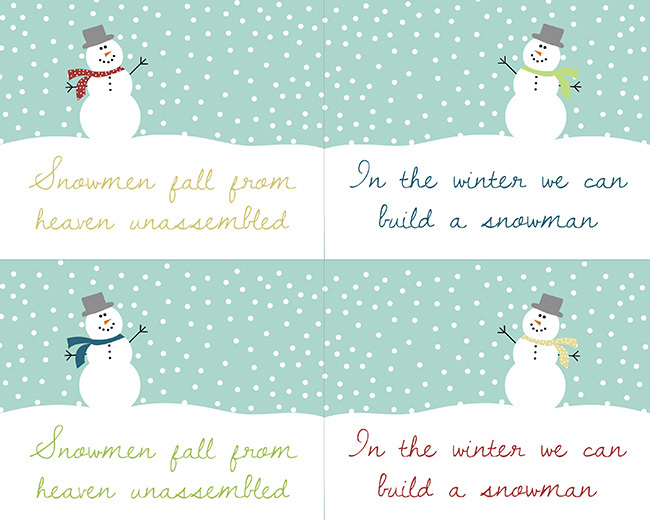 “Snowmen fall from heaven unassembled.” It comes unassembled and they have to put it together! Hand your kids the paper, show ’em this post, and let them have at it!